Mayor Quetta Dr. Kaleemullah, Mayor Rawalpindi Sardar Naseem, Chairman RWMC Raja Hanif, Javed Mughal and other officials of the Rawalpindi Waste Management Company visited Albayrak Workshop in Liaqat Bagh, Rawalpindi. GM Communications Albayrak Waste Management Company Kenan Gulen briefed the delegation about the field operations of Albayrak Company. GM Operations Albayrak Murat Sengur and his team demonstrated the working of compactors, mini dumpers, haulers, mechanical washers and container washing vehicles to the delegation. 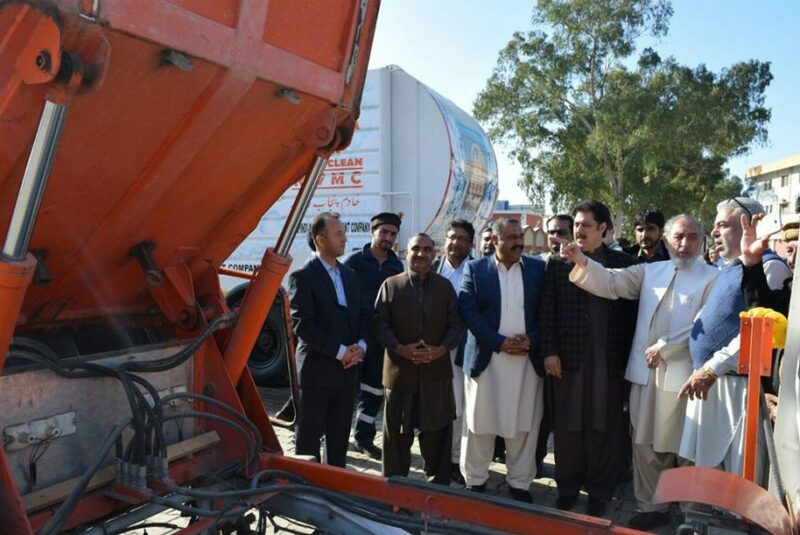 He also briefed them about the cleanup operations being carried out with the help of machinery. GM Workshop Albayrak Yasin Sivridastan, Operations Managers Cengiz Alaca, Murat Berber and Manager Mechanics Mustafa Cilgin were also present on the occasion.